Focus on Plant received four stars. Learn more about this app and others below. By popular demand: six apps that can save Android-loving researchers time and money. We’ve read your comments, Tweets, and Facebook posts about our lists of Best Science Apps, and one message above all has rung out: You want Droid apps. Well, GEN heard you loud and clear. Going forward, where there is a Droid version of one of our Best Science Apps, we will let you know in one of our reviews. To kick things off, here are a list of several recommended apps that have Droid versions; the reviews are based on the Apple version. Enjoy! RT-PCR is a technique as useful as it is ambiguously named. 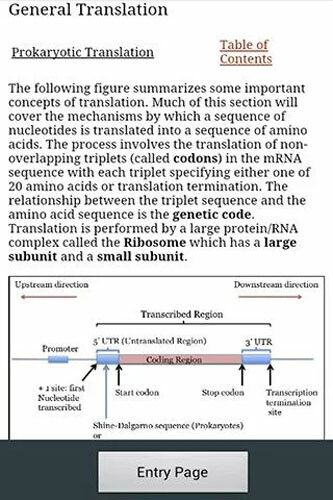 In this case, I’m referring to real-time PCR, also known as quantitative PCR (qPCR), but not to be confused with reverse transcriptase PCR (also abbreviated as RT-PCR)…OK, got that? If you’re still confused, the real-time PCR app by Life Technologies will clear things up for you. This app is a great reference for all real-time PCR users, whether you are new to the technique or an old pro. 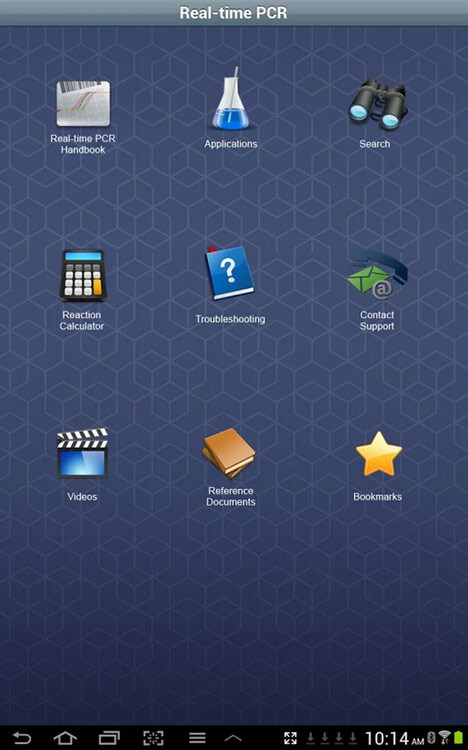 A primary feature of the app is the real-time PCR handbook, which provides detailed background information about the technique, as well as practical information for experimental design, data analysis, and troubleshooting. The app also includes a reaction calculator tool as well as a video library and a set of reference documents (although these two latter resources are most useful if you use Life Technologies products). The Gene Tutor app, designed as a study aid for a genetics course at Barnard College, is a great reference app for any student of molecular genetics. The app covers a number of topics such as Mendelian genetics (including subtopics such as probability theory, pedigree analysis, and chromosomes and linkage), DNA structure and replication, gene regulation, and DNA repair/recombination. A set of study questions accompanies each topic, with each question marked as being easy, intermediate, or hard. App users can flag specific questions, and they can track their progress through the “statistics” tab. Navigation through the app is cumbersome and not very intuitive—for instance, the only way to exit a study question session (without going through all of the questions) is to rotate the iPad into landscape orientation to display the menu. (One cannot access the menu sidebar in portrait orientation.) Navigational issues aside, the app contains a lot of useful information. Myriad nature documentaries and wildlife shows have taught us that Australia is home to some of the most beautiful and exotic animals on the planet. 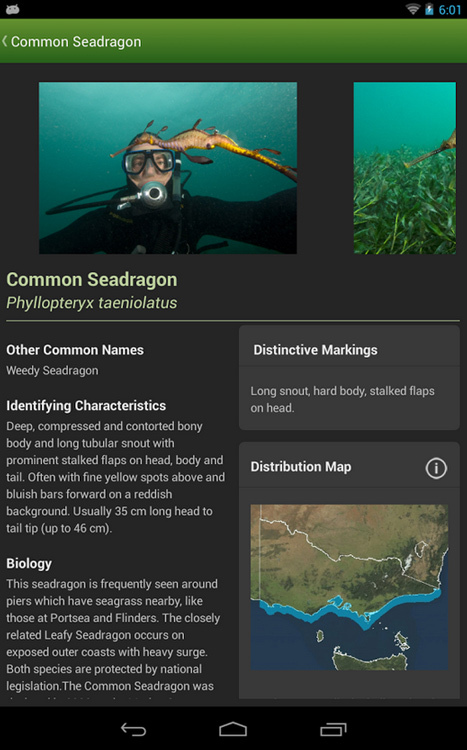 If you’ve been wanting to get a closer look at some of the beautiful fauna that this country has to offer, but you don’t have the airfare (or vacation time) saved up, then the Field Guide to Victorian Fauna app can be a practical alternative. The app features animals specifically found in the Australian state of Victoria. It includes all types of animals, from birds, to insects, to spiders, to marine invertebrates. Each entry includes a high-resolution photo of the species, a brief description of identifying characteristics, habitat, and diet, and a distribution map. The endangered status for each species is also given (at state, country and worldwide levels). For the bird entries, there is the added auditory treat of birdcall sound clips. Medicine, welcome to the age of social media. The HealthTap app is a beautiful (and free!) app that offers users many of the features one might already know from social media (newsfeeds, the ability to “follow” specific users, etc. ), but in the context of healthcare. 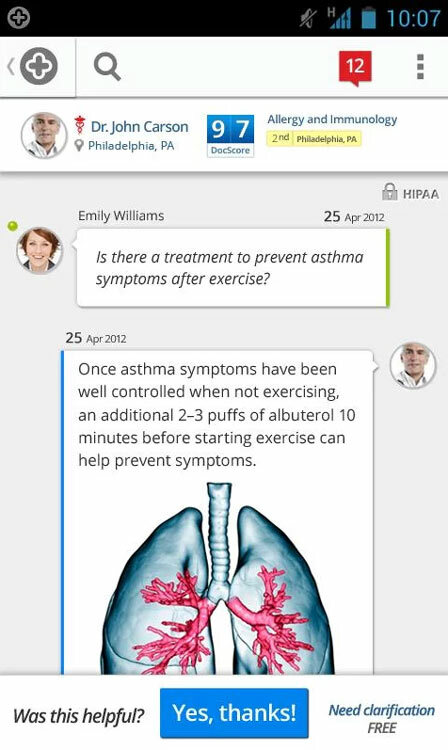 The basic premise of the app is that users submit medical questions and physicians answer them. As a user, therefore, I can either submit my own questions, or search and browse the questions submitted by others. I can also customize my newsfeed to display questions/answers related to specific healthcare topics of interest, such as “the common cold” or “diabetes”. To use the app, users must register for an account; after completing the registration, users can customize their profile pages in order to get more personalized announcements and suggestions. Additionally, users can choose to “follow” specific physicians—in this way, the app is also designed as a tool for patients to find new physicians (and likewise, for physicians to bring in new patients). Whether you have an intellectual interest in fungi or are looking to bring out your inner mushroom hunter, the Rogers Mushrooms: Fungi of Europe and North America app is a great resource to learn how to identify a large number of fungal species. In the Lite (i.e. free) version of the app there are fewer species included, but there is still a nice collection of entries. Each species entry is accompanied by one or multiple photos, as well as a description. The edibility of each species is also noted, for those who are culinary-inclined (just be sure to read the important, flashing disclaimer on the homepage of the app). 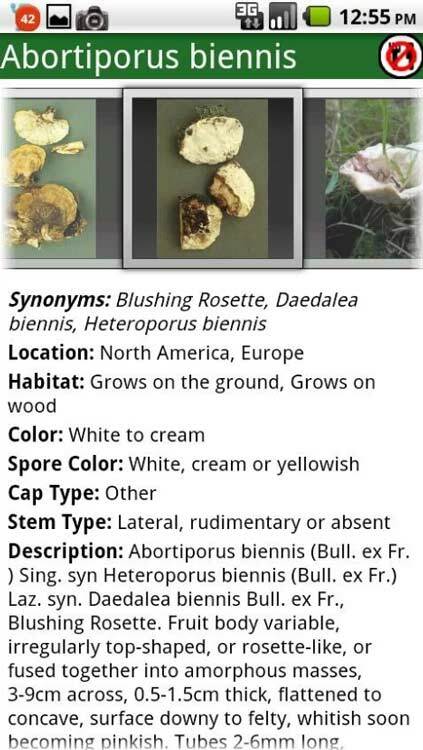 Beyond browsing the entries in a list format, app users can view three different visual summaries of different mushroom types, and they can also search the collection by a number of parameters such as flesh type, spore color, habitat, and location. 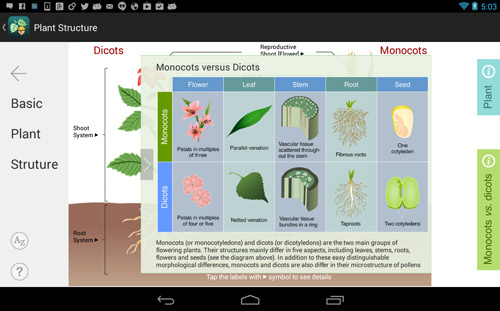 The Focus on Plant app is an excellent (albeit a bit expensive) educational app that introduces students to the basics of plant biology. 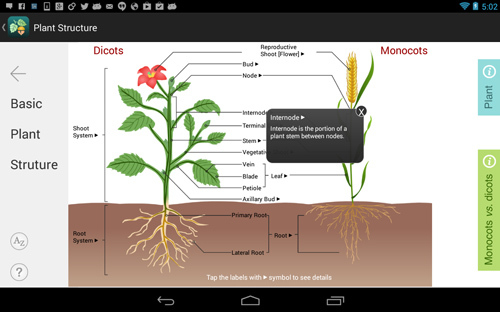 The app is comprised of five major sections, each of which is given its own home screen within the app: plant structure, plant cell anatomy, plant physiology, life cycle of plants, and plant evolution. Each home screen is cleverly designed such that students get the opportunity to really explore that section—within a given topic’s home screen app users can tap on various text labels to reveal more information, and they can also select sidebar menus that open to expose more illustrations and text. The illustrations used throughout the app are beautiful, and the app is overall very well organized. The glossary of terms and quiz feature are also nice additions.